News Summer 2018 audition success for 12 FVAD students invited to Canada's top ballet company schools. Another full year of training culminated in the summer 2018 audition success for our students. Twelve ballet students, including 3 alumnae, from the Fraser Valley Academy of Dance successfully auditioned for Canada’s top ballet company schools, the most direct route to a professional career. Canada’s National Ballet School (NBS) invited Andrew Delves (Mission), Jasia Greenan (Mission), Lindsay Kim (Langley), and Anna Neudorf (Abbotsford) to their summer intensive, along with Isabella Almarez (Mission) who completed her first year full-time at NBS in Toronto. 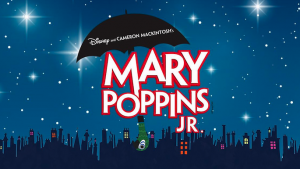 Of 1000 hopeful students auditioning to attend, only around 50 will be invited to the full-time Professional Program. 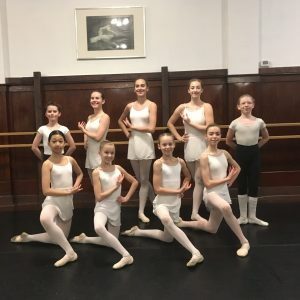 Of the four FVAD students who then chose to attend the NBS summer intensive, both Andrew and Anna were invited full-time, along with Isabella who will continue there for her second year. At Canada’s Royal Winnipeg Ballet School (RWBS), among those invited to the summer intensive were six FVAD students: Chase Bradley (Abbotsford), Andrew Delves (Mission), Jasia Greenan (Mission), Priscilla Gubiotti (Abbotsford), Lindsay Kim (Langley), and Anna Neudorf (Abbotsford). Priscilla attended and was among a handful of students invited to the full-time Professional Program, joining FVAD alumnae Marin Greenan (Mission) and Brooke Thomas (Abbotsford). Another three FVAD students successfully auditioned for the Alberta Ballet School summer intensive: Maisie Allison (Mission), Abigail Delves (Mission), and Syanne Sibble (Chilliwack). Both Maisie and Abigail attended, and both were invited to the full-time Professional Program. 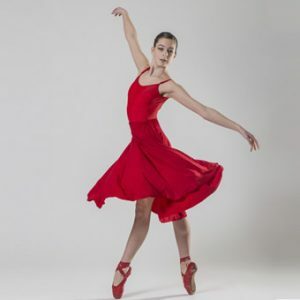 Elle Penner (Abbotsford) successfully auditioned for Oregon Ballet Theatre School’s summer intensive in Portland, having previously attended Arts Umbrella contemporary dance intensive in Vancouver as well as the RWBS summer intensive in Winnipeg. Under the direction of Mr. John C. Carney, Fraser Valley Academy of Dance provides students with exceptional training in his half-day Pre-Professional Academy (PPA) as well as after-school programs. With so many students successful in their auditions to ballet company schools each year, the results speak for themselves. Photo of FVAD students successful in auditions: (back row, left to right): Andrew Delves (11), Abigail Delves (15), Priscilla Gubiotti (16), Elle Penner (14), Chase Bradley (11); (front row, left to right): Lindsay Kim (13), Anna Neudorf (13), Jasia Greenan (11), Maisie Allison (12); (absent) Isabella Almarez (13), Marin Greenan (17), Syanne Sibble (16), Brooke Thomas (17). For more information, visit fvad.ca or call 604-826-0097.